Please Note: To provide you with optimum customer service, Handcrafters House only sells machines within Western Australia. FOUNDED IN GERMANY. DESIGNED FOR THE ARTISAN. BUILT TO PERFECTION. WiFi & My SewNet Connectivity: Connectivity means machine updates, real-time alerts, and status updates on your projects when you’re on the go. Enhanced IDT: Expand your creative horizons with this legendary PFAFF feature. Unique Specialty Stitches & Techniques: Radiant, Triple Ribbon, Floating, Lace and Off-The-Edge techniques. Swipe, Pinch Zoom: 10.1” full color screen. 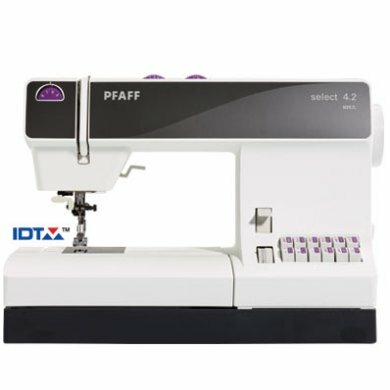 SMART, COMPUTERIZED INTERFACE: The fully-reworked Graphical User Interface, PFAFF Help Center, User’s Guide, and Getting Started are built to advise and inspire sewists. SHARED SEWING KNOWLEDGE: Our Help Center features more than 100 animated or illustrated interactive on-screen, step-by-step guides for reference and efficiency in support of countless projects.